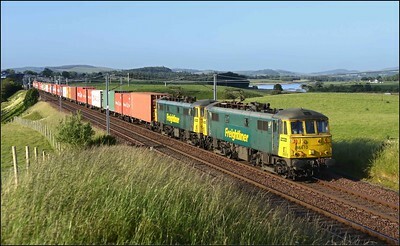 2014 07 25.66426 on the Coatbridge-Daventry late running intermodal at Symington. 2014 10 01. 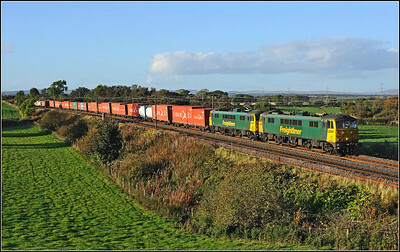 86628/86614 on the Coatbridge-Basford Hall freightliner service at Springfield. 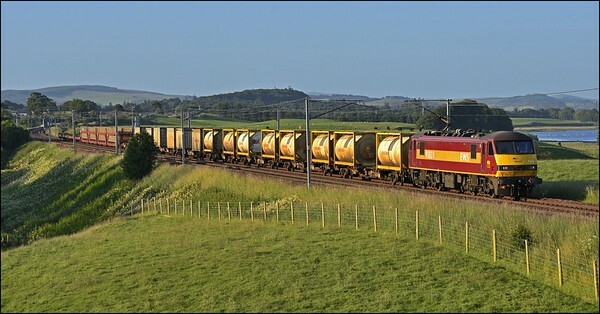 2014 07 25.92019/92002 on a southbound Mossend-Didcot wagonload at Symington. 2017 07 17. 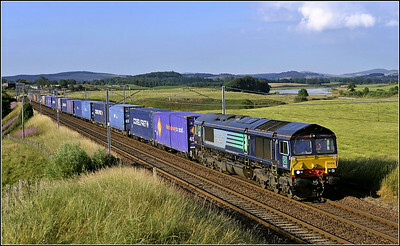 66086 17.07 Mossend-Dagenham Docks southbound working in the Upper Clyde valley. 2017 07 17. 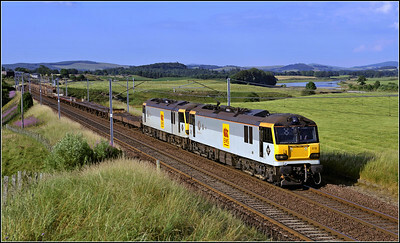 86610+86607 18.14 Coatbridge-Crewe Bas/Hall working in the Upper Clyde Valley. 2017 07 17 .19.25 Mossend-Arpley southbound freight in the Upper Clyde valley.